Get ready to go green with Dillo Dirt, a high-quality composted soil that is available at Kinser Ranch LLC. Dillo Dirt is one of the oldest and most trusted names in composted soil. For decades, individuals have relied on Dillo Dirt for their landscaping, vegetable gardens and so much more. Kinser Ranch LLC is proud to offer you an innovative and waste-free way to enhance the health of your greenery without adding to your carbon footprint. Soil enriching: Using Dillo Dirt from Kinser Ranch LLC is an easy way to enrich the quality of your garden’s soil. This type of compost provides a significant amount of nutrients to your garden, and can promote healthier plants with stronger roots. It can also balance the acidity of your soil and reduce how frequently your plants need to be watered. Environmentally friendly: The Dillo Dirt offered by Kinser Ranch LLC received the U.S. Composting Council Seal of Testing Assurance and is made by composting collected local yard clippings. Dillo Dirt meets the standards of the Environmental Protection Agency for use in landscaping and gardening, meaning that it has countless different applications and reduces unnecessary waste. Austin made: If you prefer to use local products, you’ll be glad to know that the Dillo Dirt we supply is made by the City of Austin for its residents’ use. Dillo Dirt originated in Austin decades ago, and only uses locally-sourced materials to generate its compost. Since its creation, Dillo Dirt has become a well-known compost soil throughout our city. 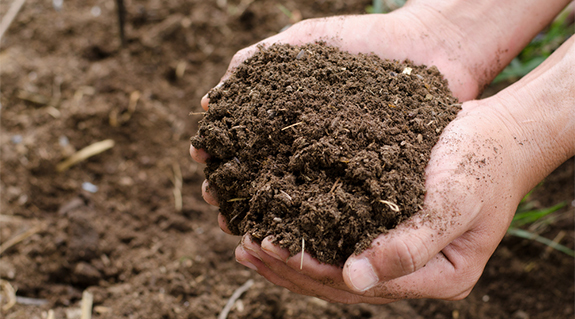 To reap the benefits of this unique compost soil, simply contact your local Dillo Dirt supplier in Austin, TX. For more information on Dillo Dirt, or to speak with a professional at Kinser Ranch LLC, call 512-477-9025 today.